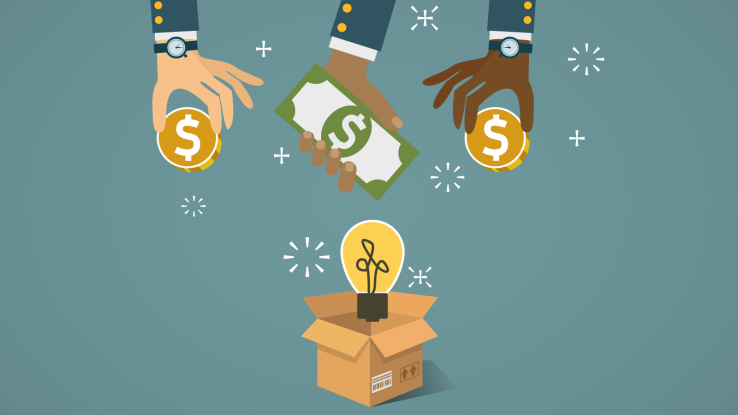 These days, more and more businesses, organizations, and individuals are turning to crowdfunding to get their products to market. In a lot of ways, it’s a good idea. Crowdfunding is an easy way to raise capital, judge customer interest in your product, and sell directly to the customer base you want while avoiding a lot of the usual costs that come with traditional retail middlemen such as marketing departments. On the logistical side of things, in many cases crowdfunding allows you to judge exactly how many items you need to produce and store, helping to mitigate the risk of overstocking on unpopular items or being caught short-handed if an item proves more successful. A lot of people wait until their Kickstarter or Indiegogo is all over with to start looking into fulfillment, storage, and shipment options, but this can lead to a lot of headaches and delays down the road. Where am I getting the items manufactured? Am I making them myself or do I have the option of finding an external manufacturer? Where are they being stored? Do I have the industrial storage or wire shelving to do it myself or do I need to rent warehouse space somewhere else? How much will that cost me? How are the items being fulfilled? Do I have the ability to ship them directly from the warehouse center or do I need a third-party go-between? What’s a realistic date to get these items to the customer? Among other things, these should be your first considerations when planning fulfillment. A commonly seen issue among crowdfunding campaigns of any type are delays in manufacturing the item itself. This is due to any number of reasons – underestimated sales numbers, difficulty producing the item or sourcing needed components, needed tweaks that may arise during the production process. Some of these issues can’t be avoided, but many of them can. Talk to your manufacturing partners and/or any suppliers you’re working with to set a realistic but flexible idea of how many products you’ll need to manufacture. Listen to their feedback – if they can only get a certain amount out in time, consider working that into the campaign itself (set ‘early bird’ reward tiers that will get their items from the first batch whereas everyone else can pay less but take longer to receive their item) and always set realistic goals to your backers about when to expect their goods. Too many crowdfunding campaigns have been derailed by over-promising and under-delivering. Even if your manufacturing is all perfectly coordinated, that’s only half the battle – getting the items to their destination is the second, and arguably more important, step. Do your homework ahead of time. Take a look at where your backers are located (both inside and outside your home country) and talk to all the major shipping providers about what their options are for things like overseas delivery, rush shipping, packaging services, and so on. This will also come into play before you launch your campaign – some crowdfunding campaigns tie in shipping costs to the reward tiers, others factor them in after the fact. Determine what the average shipping per reward will be and make sure your pledge amounts can cover it all the way. Finally, once your orders have been placed and you need to move forward with production, talk to whatever partners you’re using for fulfillment to find out exactly what they’re going to need from you. Does each product need its own SKU? Do they need one order per line in a spreadsheet for their software to be able to track it? Can they only process a certain number of orders at once? Ask these questions before your campaign ends so you best know how to present your order data to your fulfillment partners and make sure everything is processed as smoothly as possible.